PureInsights was founded in 2016 with the intent to leverage best in class analytics and business intelligence tools to provide insights for the community of PureCloud users. With over 20 years of experience in contact center management and technology, Rick McGlinchey has worked with startups through Fortune 200 clients such as JPMorganChase, Cardinal Health, Abbott Labs and Eli Lilly. His history with Interactive Intelligence includes 10 years of employment from their first beta customer in 1997 through 2008 and the relationship continues today as a strategic partner. Rick’s previous employers include FedEx and Software Artistry, and he holds a BA in Computer Science from Indiana University. 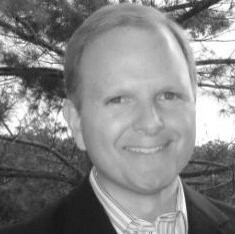 Bill Leasure also brings 20+ years of experience with a strong focus on contact center consulting and analytics. Prior to joining PureInsights, Bill led the consulting and analytics practice for Genesys (North/South America) and for another ININ platinum partner giving him the opportunity to work with dozens of leading edge companies like Humana, Comcast, and Blue Cross Blue Shield. Bill holds a BS in Computer Science from Georgia Tech and an MBA from UNC Chapel Hill / HSG, Switzerland.